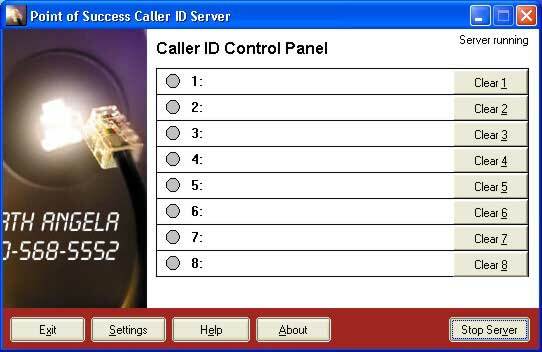 Point of Success Caller ID is a combination of hardware and software that work together to deliver caller ID information from your phone lines to your Point of Success order entry software. 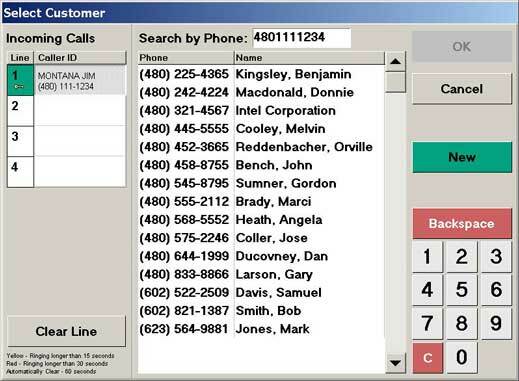 Incoming calls display on each order entry computer to identify the calling customer, speeding the entry of customer information. It's important to know who your customers are, but it takes time to enter complete customer information for every delivery order. With Point of Success Caller ID the customer telephone number, first and last name are entered automatically when setting up a new customer. Just enter the street address and customer zip code to complete setup for the customer. With Point of Success Caller ID, 60% of a residential customer's information is entered automatically! Incoming calls display on the left side of the Select Customer window when taking a phone order. Touch the incoming call line and Point of Success finds the customer in your database. New customers are added by touching the New button. 60% of residential customer information is entered automatically by the Caller ID system. Point of Success Caller ID flags callers with a status that changes as they wait for service. New incoming calls are colored white, as a call waits the status color changes to yellow and later to red. Warning times can be adjusted to alert your service staff at the times you specify. The Caller ID server is always listening for information from the Caller ID Interface box. When calls are received, caller information is broadcast to Order Entry workstations, improving the speed and accuracy of phone order entry. 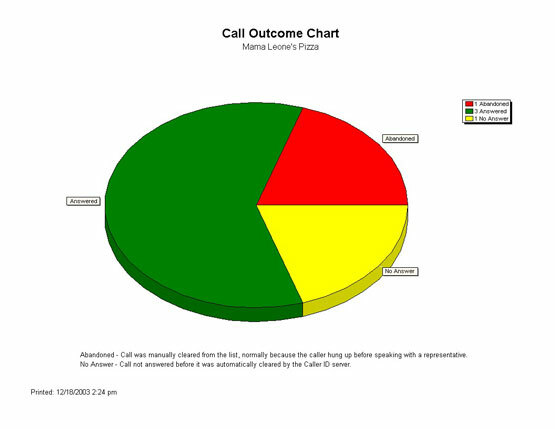 Many standard reports are included with Point of Success Caller ID. All reports help improve service and improve customer satisfaction. Whether you run a small, hometown pizzeria or a very busy franchise operation, there is a Caller ID product to fit your restaurant. Three hardware options are available — Choose the two line, four line or eight line version. In addition to the standard Point of Success hardware compatibility requirements, Caller ID requires an available serial communication port on the computer designated as the Caller ID server. Works on a single computer or on a network. Requires a separate caller ID subscription from your local telephone carrier.